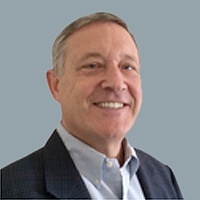 Over his distinguished career, Mark has built an exceptional track record as an architect and implementer of organizational, process, and technology changes. He has driven transformational change and delivered measurable results across all sectors, with a specific focus on chemicals, oil and gas companies globally. Mark developed his expertise in various CEO, executive and operating roles, as well as heading supply chain practices for leading consultancies. He is exceptionally skilled at navigating the political, emotional, and rational barriers to business transformation and has consistently leveraged his insights to help clients optimize their value chain while mitigating key business risks. This allows his clients to maintain/create the proper amount of entrepreneurial agility/business unit autonomy while becoming more operationally excellent. From its inception, Mark has been passionate about the significant benefits Maine Pointe’s Total Value Optimization™(TVO) approach can bring to clients. As the leader on our recent transformation engagement for a global chemicals company, he oversaw the implementation of this approach. The partnership transformed the way their supply chain operated and delivered $112M in benefits across procurement, logistics and operations in a complex post-merger environment. Mark is a regular presenter and is frequently published in the value chain and risk management realm, with articles focusing on new operating models, improving partnerships and collaboration to drive value and reduce risk. Recently, he chaired a conference focused on "Optimizing Operational Efficiency in Energy Companies". In addition to chairing the conference, Mark presented a paper and led a panel discussion titled, “Optimization & Risk Management”, which proposed a holistic framework to more effectively manage the integrated hydrocarbon/petrochemicals value chain.